Two cars collided near Ramgarh village in Ujjain district, on Monday night. 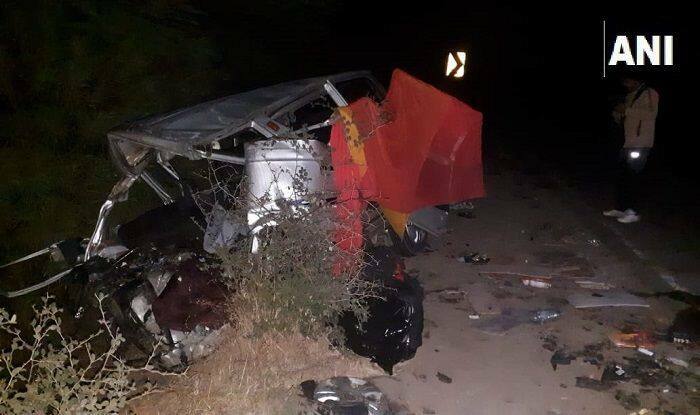 Bhopal: 12 people were killed and two others seriously injured in a head-on collision between two cars near Ramgarh village in Ujjain district, on Monday night, said news agency ANI. The accident took place when a family was on their way from a wedding in a van. The collision with another speeding vehicle sent the van fell 50 feet away. As per reports by a Hindi daily, five of the deceased were immediate family members, while seven others were relatives. On August 13, 2018, at least seven children of a family died after the car they were travelling in fell into a ditch on the roadside in Panchmahal district. In a similar accident on August 29, 2017, five women were reported dead after a tractor trolley which carried the pilgrims from a Rajasthan temple overturned in Madhya Pradesh’s Ratlam district, police said. According to the Police Control Room, 17 others were injured in the accident that occurred around 2.30 AM. The victims were returning to Barkheda Khurd in Madhya Pradesh after offering prayers at the Ramdevra temple in Rajasthan. The injured were immediately taken to the hospitals in Jaora and Ratlam for treatment.